Mariah Carey has quit American Idol. Along with the tour, Mariah has a number of other projects this year. “The rest of this year is jam-packed with Mariah putting the finishing touches on her much anticipated forthcoming album, headlining the Macy's 4th of July Fireworks Spectacular and appearing in Lee Daniels's The Butler, opening in August,” her representative said. American Idol is returning to a three judge format. The singing competition's 13th season will have a diminished panel for the first time in five years in a bid to combat the Fox show's declining ratings. Kevin Reilly, Fox's entertainment chairman, also revealed current judges Mariah Carey, Keith Urban and Nicki Minaj had been invited back, despite veteran mentor Randy Jackson deciding to leave the panel. “The format will have fresh twists for next season,” the TV boss said. Kevin went on to hint the expanded middle rounds were likely to be revamped since he believes they are responsible for dwindling viewing figures. Justin Bieber and Selena Gomez for American Idol? Justin Bieber, Selena Gomez, Pink and Diddy are being lined up for the new season of American Idol. 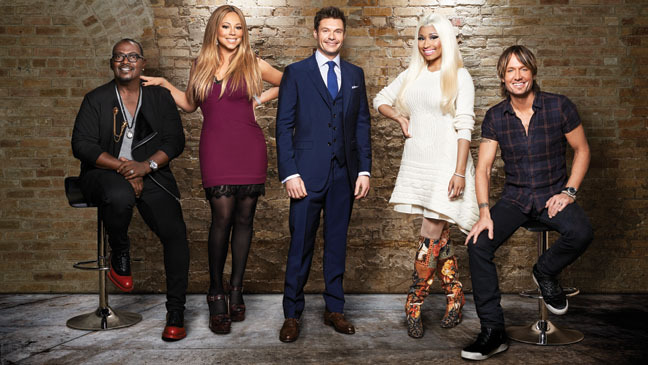 Producers on the show are reportedly desperate to sign up the quartet to replace current judges Mariah Carey, Nicki Minaj, Randy Jackson and Keith Urban after ratings fell dramatically this year. “It's been a lackluster season for Idol and everyone involved with the show is well aware of it so that's why producers are franticly working on lining up big name stars for season 14. There's more drama going on behind the scenes of the show than on the stage, and that's why there's a major overhaul in the works. 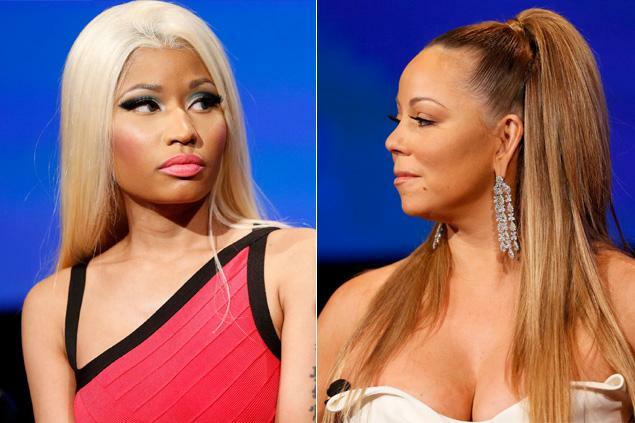 A telling sign was that the highlight of the season was Mariah and Nicki's explosive feud that was leaked on the web - and that was before the season even aired. Producers have been trying to recreate that buzz ever since and it hasn't worked - the public isn't buying it. The judges don't have real chemistry, and there's no real standout contestant,” a source said. Click to continue reading Justin Bieber and Selena Gomez for American Idol? ‘American Idol’ Planned to Swap Mariah Carey with J-Lo? American Idol producers secretly plotted to replace Mariah Carey with Jennifer Lopez. Bosses were keen to see the return of “On the Floor” singer Jennifer midway through the show's current season but, sources tell The Hollywood Reporter, once they were threatened with legal action by Mariah's team they backed off. The insiders added a search has already begun to replace Mariah, Nicki Minaj and possibly even the entire judge's panel - which also includes Randy Jackson and Keith Urban - for the next season. Mariah was a huge signing for the show, but has proved less popular with viewers on the show than Jennifer, who appeared in the previous two seasons, was. Mariah's comments and criticism have been criticized as passive and disengaged, and she has been overshadowed by Nicki on the show. Click to continue reading ‘American Idol’ Planned to Swap Mariah Carey with J-Lo? 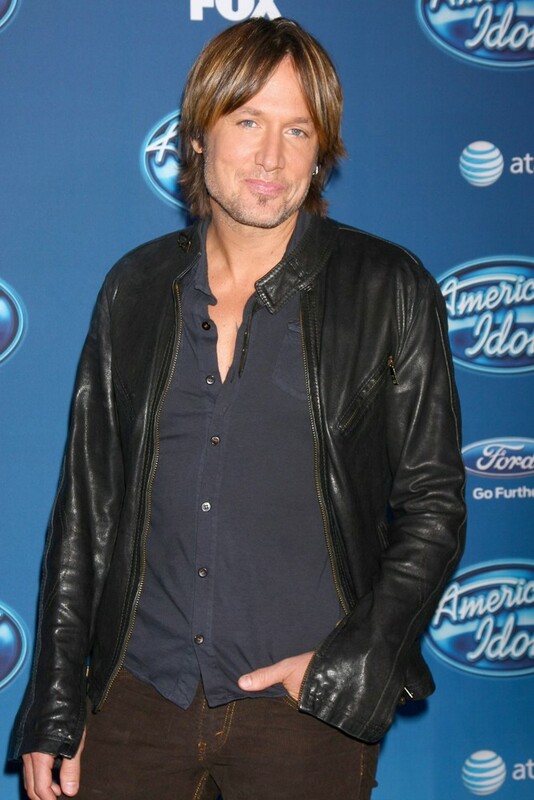 Keith Urban's all-female household prepared him well for American Idol. 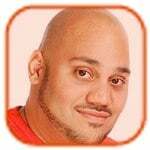 The 45-year-old singer - who sits in between warring pop divas Nicki Minaj and Mariah Carey on the panel of the singing competition - revealed that living in a “literal oestrogen nest” with wife Nicole Kidman and their two daughters, Sunday Rose, four, and Faith, two, helped him handle the on-set antics between his fellow judges. Mariah Carey's husband convinced her to join the American Idol panel. The “Hero” singer admitted she was initially wary of taking a role on the judging panel of the pop star search show but America's Got Talent host Nick Cannon talked her into it. “He really wanted me to do this. I had my own kind of reservations about it because I didn't know how I would adapt to the situation. It's a huge deal,” she said. 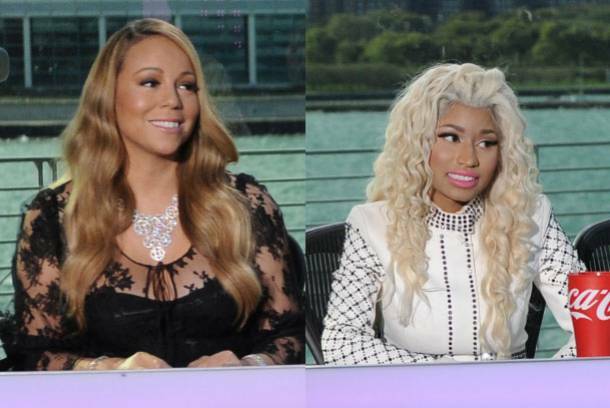 Nicki Minaj thinks Mariah Carey has “met her match” in her. The “Starships” singer has admitted there is more than one diva on the judging panel of American Idol following her explosive bust-up with the star last month, during which she hurled profanities at Mariah. “I think Mariah met her match this time, and I don't think she was expecting to meet her match. I'm super nervous and anxious for the first day on American Idol. I'm still second guessing my decision. I'm probably going to be a hundred times guessing this decision because I'm human. It's a big job,” she revealed, speaking in her new reality show My Truth. 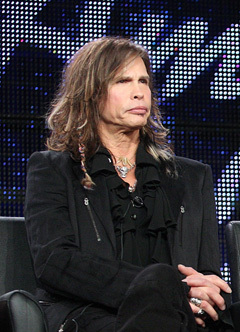 Steven Tyler thinks Mariah Carey's bitter American Idol feud with Nicki Minaj is a publicity stunt. The Aerosmith star - who announced he was leaving the reality show in July after a successful two season run on the judging panel - believes producers have orchestrated the women's outspoken rivalry to boost ratings. The “I Don't Want To Miss A Thing” singer told TMZ, “Of course, are you kidding” when asked if he thought their furious bust-up was designed to generate more publicity. The “Starships” rapper has continued to blast Mariah on her Twitter page. But American Idol producers have insisted the show must go on despite the tension and pledged their support for the entire judging panel.